City Hotel Luxembourg connects the old and the modern. The mix between the unique historical architectural style of the building and the new design with current trends gives a very special charm to the hotel. City Hotel was recently categorised with the “3 stars Superior” classification from the Hotelstars Union. 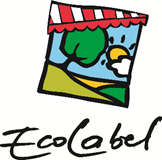 The hotel is also certified with the EcoLabel Silver. Thanks to its central location, the City Hotel is ideally accessibly and close to all public transport and attractions. The central station district offers a large choice of restaurants, bars and shops. Located in the central station district of Luxembourg City, the hotel offers three equipped conference rooms for the organisation of seminars in the heart of Luxembourg City. The three conference rooms, located on the first floor, are modular, incorporate state-of-the-art technologies and can accommodate from 2 to 60 people. The 32 hotel rooms provide accommodation for residential seminar participants. The "City Hotel" is in private hands and is committed to supporting regional initiatives and local products. Luxembourg has a great diversity of local products. You will find many products of our "Marque Nationale", soaps and shampoos of the brand "Bléi vum Séi" as well as teas of the "Natural Park of Haute-Sûre" ("Téi vum Séi") or dairy products, local meat products, and spring waters – diversified products of high quality, authentic in their taste. Quality whole bean coffee machine that will make your favorite hot drink to start the day. The City Hotel is in private hands and reopened its doors in June 2018 with a modern look and a new offer while retaining the same charm. The entire Hotel team is looking forward to your next visit.